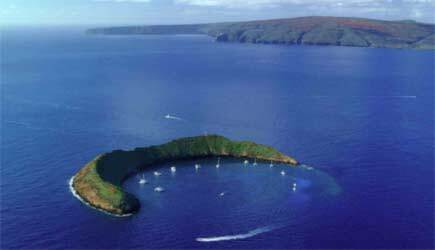 Their charters go to Molokini, Coral Gardens, Lana'i, and Lahaina sunset sailing. The Lana'i Snorkel Sail will take you to one of the top 10 snorkel spots in the world! The food on the tours feature quality ingredients & sourced on island whenever possible. 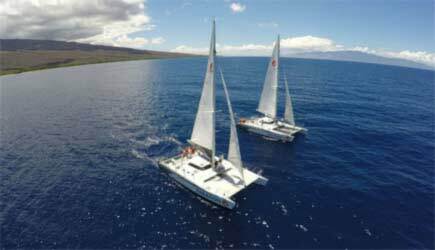 Paragon is the premier sailing catamaran company on Maui, and their thrilling adventures are aboard Paragon & Paragon II. These high performance twin vessels feature new construction techniques and hull design. This is also paired with state-of-the-art rotating carbon fiber masts. America's Cup winning catamaran used the same mast technology, which allows for incredible speeds along with safety and comfort. 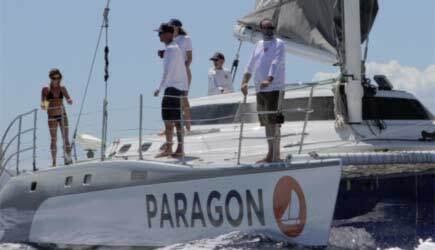 Sailing is a major part of the adventure, and Paragon sailing does it best. Molokini, Coral Gardens, Lana'i, and Lahaina sunset sailing are the destinations for these intimate and authentic charters. The tours have a diverse range of sailing and snorkeling. 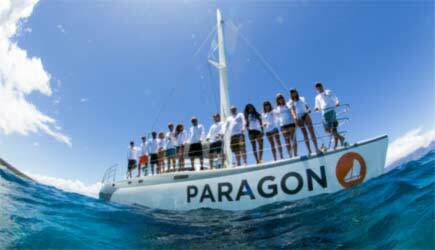 For over 20 years, Paragon Sailing has been committed to customer service and they have catered to Maui visitors and locals. They create a personal experience with their smaller groups, and the friendly and experienced crew will guide your amazing ride. 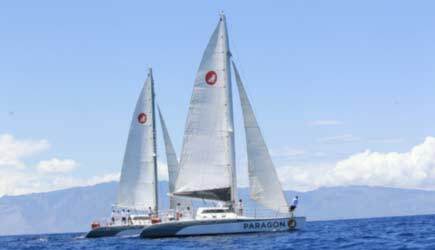 Depending on your tour selection, Paragon departs from Lahaina Harbor or Ma'alaea Harbor. All snorkel tours include snorkel gear, but you are also welcome to bring your own snorkel gear. They also provide a few optical masks, so let us know if you require one. Paragon does not allow spray-on sunscreen, because it has a tendency to go everywhere including the deck. This can make it slippery and dangerous to maneuver around the boat, and the spray-on sunscreen is generally toxic to the ocean environment. They advocate using reef-safe sunscreen to preserve the marine ecosystem, and they will provide it on both their vessels. Bring a hat, sunglasses, camera, reusable water bottle, and towels. Paragon does not provide towels, but they keep a small inventory on the boat for purchase. On the sunset sail, especially during the winter months, bring a light jacket. 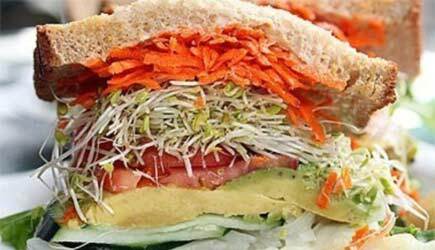 Vegetarian or gluten free options are available through their catering companies, but people with celiac disease or severe nut allergies should be aware that they cannot guarantee there no cross contamination. Discover Molokini, the most unique snorkeling destination! This 5 hour tour is offered daily from 7:30am to 12:30pm. Check in is at 7:15am at Maalaea Harbor. 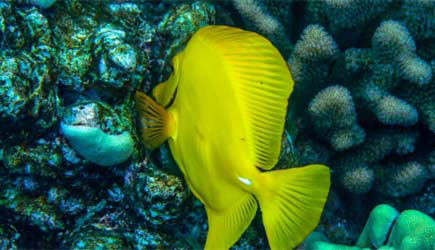 The natural marine preserve is inside a crescent shaped crater, and there are over 250 species of tropical fish. The Paragon II will transport you to these pristine and protected waters. Aboard the Paragon II you will experience performance sailing, and Maui's afternoon trade winds can get this vessel going with speeds in excess of 20 knots! As you sail across Ma'alaea Bay, enjoy a continental breakfast. After you swim and snorkel at Molokini, you can rinse off with their hot & cold shower. You will be served a full lunch buffet and beverages there too. During whale season (December - May), experience the majestic humpback whales play with the breathtaking landscape of Maui in the background. There are times that Molokini weather can be a bit unpredictable. If this happens, they will sail to another snorkel destination with more suitable conditions. Explore the exclusive island of Lana'i, one of the top 10 snorkel spots in the world! It features pristine reefs, tide pools, tropical beaches, and spinner dolphins that play in Manele Bay. This 7 hour tour is offered daily except Saturday & Sunday at 8:30am to 4:00pm. Check in is at 8:15 a.m. at Lahaina Harbor, and from there you will sail across the Au' au' channel to Lana'i. Take in the panoramic views of Maui, Moloka'i, Kaho'olawe, and Lana'i as you enjoy a continental breakfast. The first stop on your sailing adventure is Manele Bay. This vibrant and healthy reef is a marine preserve full of sea life. Once you arrive on Lana'i, you can stroll 10 minutes to Hulopo'e beach, which is one of the most stunning beaches in Hawaii. Choose a relaxing spot for your lunch...at a picnic table, under a palm tree on a grass mat, or stretch out on the warm golden sand. You're welcome to bring your snorkel gear with you, because the reef is just as beautiful here. If you prefer not to venture out to Hulopo'e beach, you will have access to share, picnic tables, and facilities in the harbor area. As you sail back to Maui, drinks will be passed out and you can take in the beautiful ocean views around you. If the conditions are right, you will stop just off the coast of Lahaina to jump into the blue waters for a last swim to end your perfect Hawaiian day. No Hawaiian vacation is complete without the beauty of a golden sunset. This 2 hour tour is daily except Sunday, and the departure times are adjusted to seasonal sunset patterns. Check in is at Lahaina Harbor, public loading dock, in front of the Pioneer Inn. Check in from September 15th to November 14th is at 4:45pm, November 15th to February 14th is at 4:30pm, February 15th to May 14th is at 4:45pm and May 15th to September 14th is at 5:00pm. 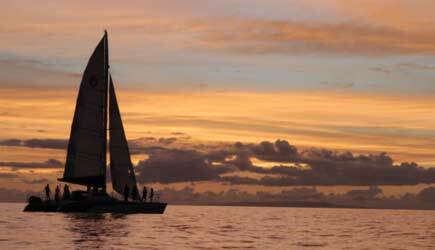 This sailing excursion offers hot & cold hors d'oeuvres and beverages, including beer, wine, champagne & Mai Tais. 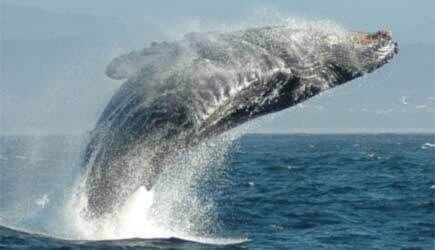 From December thru May, watch the humpback whales jump and play with the breathtaking sun setting across the blue waters of the pacific. Feel the ocean spray and the wind in your hair as you experience the Pali coastline aboard the Paragon II. This 3 hour tour is offered Tuesday, Thursday, and Saturday from 1:30pm to 4:30pm. This is not available January through March. Check in is at 1:15pm at Maalaea Harbor. You adventure is fueled by the afternoon tradewinds, and you begin with a sail across across Ma'alaea Bay. This exhilarating ride takes you to Coral Gardens, a sheltered cove where there is a unique blend of sea life and coral. It is tucked into the cliffs near West Maui Mountains, and the snorkeling conditions are ideal. Look around you for all types of creatures, including honu, Hawaiian green sea turtle! Indulge in hors d'oeuvres and drinks on the thrilling sail back to harbor. There is no better way to spend your afternoon in Maui! On their second day in port, Pride of America passengers are able to do the Molokini Snorkel Sail and they will need to take a 15 minute cab ride. 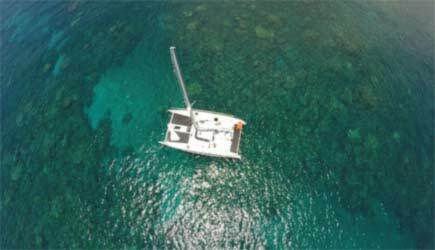 For passengers whose cruise ship is tendering in Lahaina, the Lanai Snorkel Sail may be possible. The Pali Coast Snorkel Sail and the Sunset Champagne Sail does not work for cruise ship passengers. 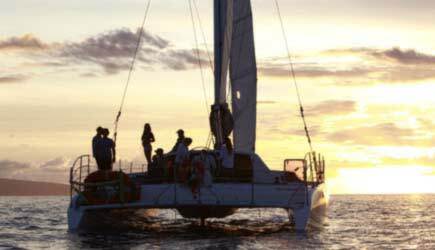 Paragon Sailing offers something that most other catamaran tours don't ... they ACTUALLY SAIL! This might sound a little odd ... but most sailing catamarans that are used for snorkeling tours rarely put the sails up at all. They tend to motor to and from their destinations because they can motor faster than they can sail. Some will sail a short distance if conditions are favorable. Paragon is different. Their catamarans were built for "performance sailing" which means they can sail just about as fast as they can motor! There is nothing like the experience of having the engines go quiet and hearing only the sound of the wind and of the bow cutting through the water like a knife through warm butter. 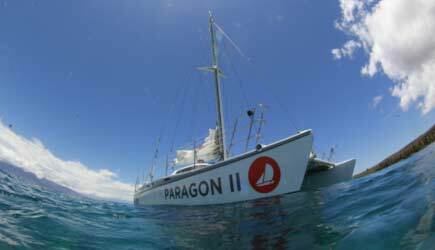 If you want to snorkel and you love to sail, Paragon is the best choice for you!